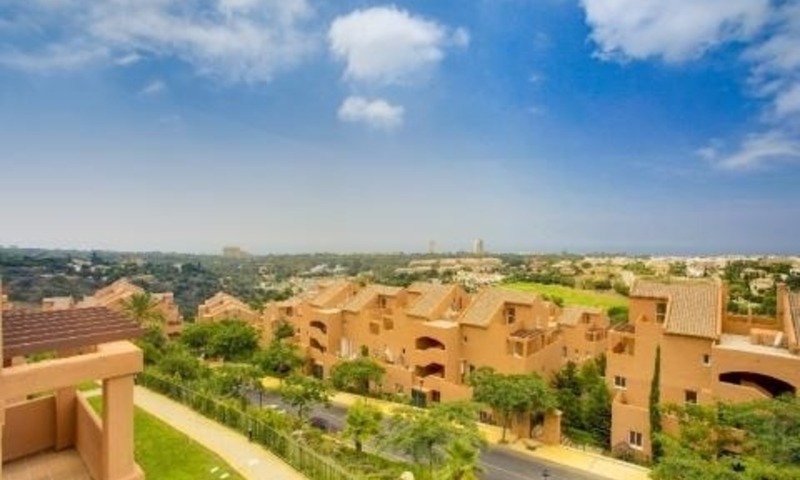 Development built in a typical Mediterranean village style with large terraces, several swimming pools, and extensive gardens. 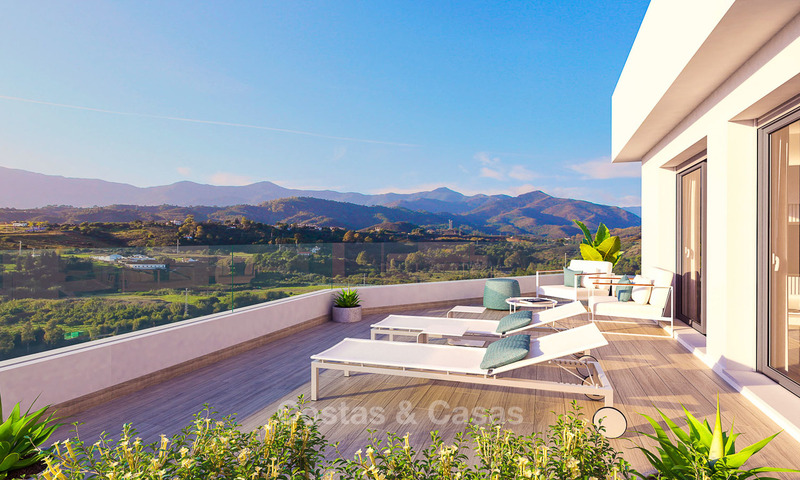 Stunning views sweeping across the valley down to the Mediterranean sea. 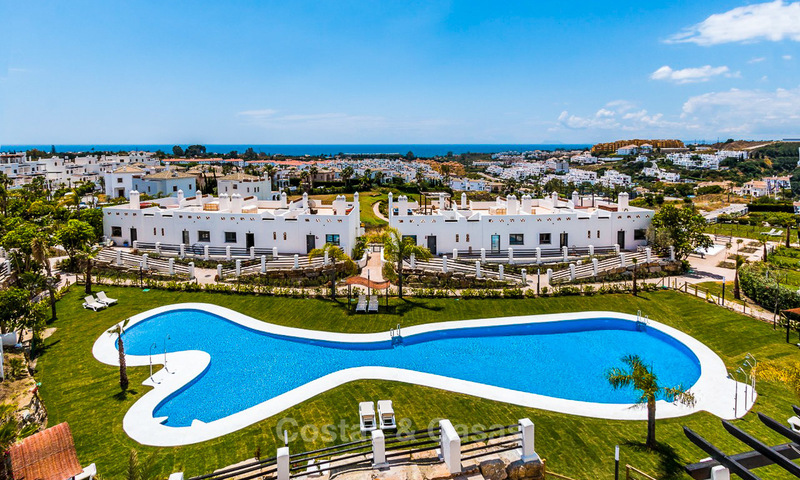 Tranquil area at just 5 minutes drive to the golf club, large commercial centre, sandy beached and many beach restaurants and beach club east of central Marbella. 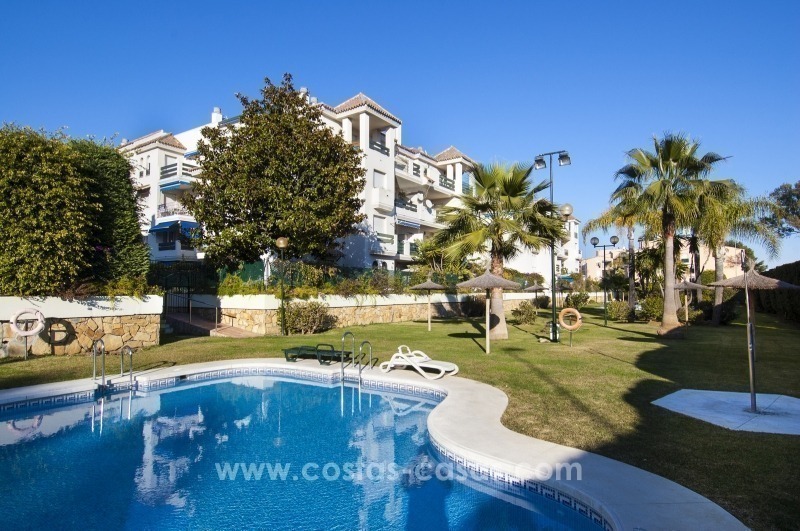 Cheap apartments for sale on the New Golden Mile, Marbella 1, 2 or 3 bedroom apartments in a residential complex, with a 24h security service, located in the heart of the New Golden Mile. 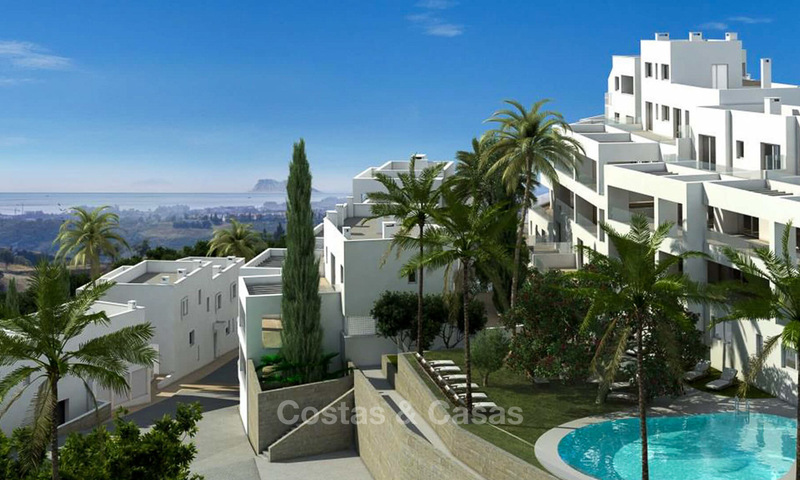 These apartments enjoy fully fitted kitchens and big terraces with a lot of privacy. 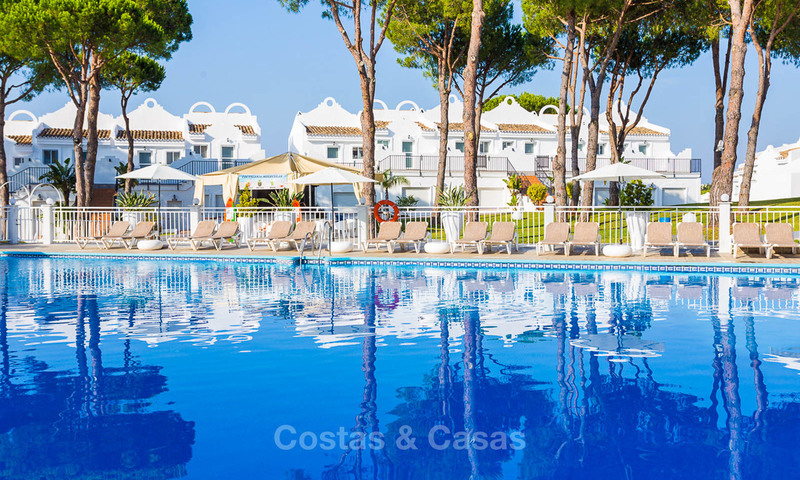 These apartments are well connected; they are only a 15 min drive away from the famous Marina of Puerto Banús and 15 min from Estepona. 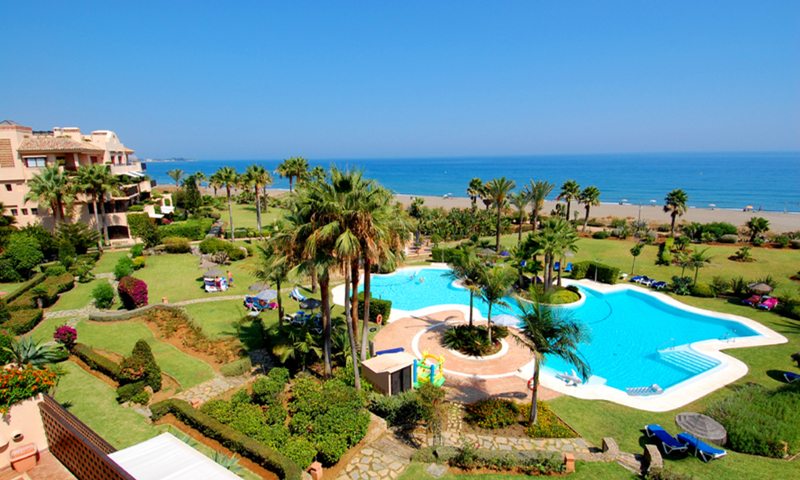 The complex is situated within at walking distance to a golf courses and the beach.